This year we’re celebrating Day of the Dead with 2 weeks chock-full of exciting activities for all ages. We’re offering traditional food, performances, art-making, and more! Make your own mini altar. Bring a small photo of a loved one to honor. This event is 21+. Tickets are $10 ($5 for members/students with ID). Purchase tickets here. 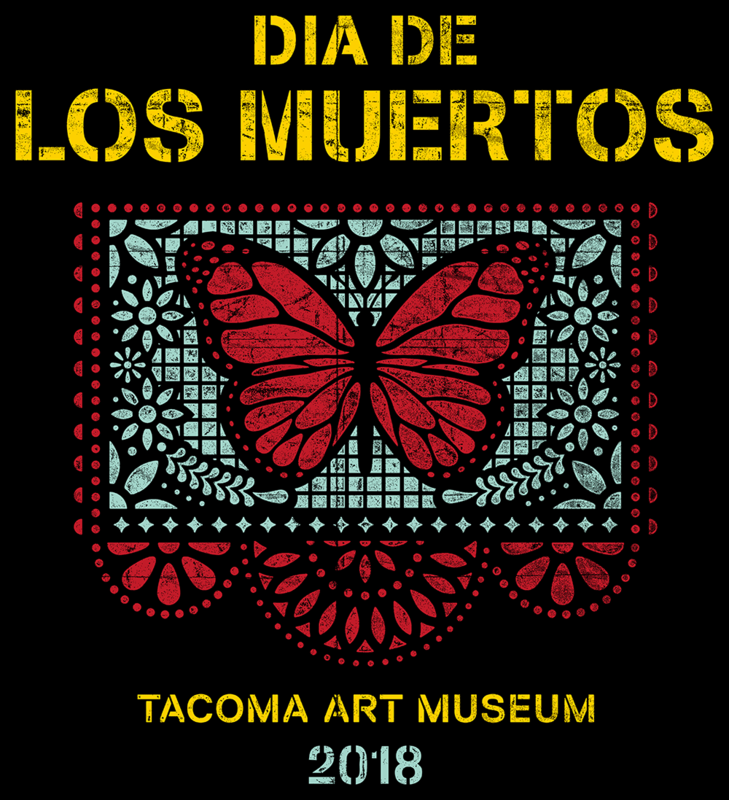 Join us in TAM Studio for an artist-led art-making experience, inspired by Dia de los Muertos. Artist of all ages and experience levels welcome. Traditional food, art vendors, and more! Looking for a quick way to score some unique gifts? Want to pick up something nice for yourself? 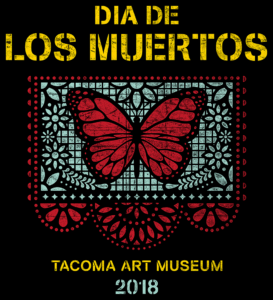 Come by the Tacoma Art Museum Store during our Dia de los Muertos celebration and grab a Mystery Bag. They’re sure to have something for everyone. Grab yours fast because supplies are extremely limited. TAM Store will be open until 7pm. TAM Cafe will be offering our specialty while supplies last menu during the festival and will be open until 6pm. Presented in partnership with Proyecto MoLE, Centro Latino. With support from Makin Music Print and Design. Free Community Festivals are generously supported by the Tacoma Arts commission. Seasonal support provided by Arts fund.